The “Aha!” Moment: I Finally Understand Myself! consider really important in life. If an INFJ is fighting or something, this is because they believe in the idea itself, not because of some selfish reasons. INFJ personalities are drawn towards helping those in need – they may rush to the place of a major disaster, participate in rescue efforts, do charity work etc. INFJs see this as their duty and their purpose in life – people with this personality type firmly believe that nothing else would help the world as much as getting rid of all the tyrants. Karma and similar concepts are very attractive to INFJs. These tendencies are also strengthened by the fact that INFJ personalities have a unique combination of idealism and decisiveness – this means that their creativity and imagination can be directed towards a specific goal. Few other personality types have this trait and this is one of the most important reasons why many INFJs are able to eventually realize their dreams and make a lasting positive impact. See http://www.16personalities.com/infj-personality for the full description. My favorite component of this INFJ description is the part about the unique combination of decisiveness & idealism that makes this personality type capable of fulfilling their dreams & making a “lasting positive impact.” Ever since I was a child I’ve always dreamed of making a difference in the world. When I was a kid I thought I would be a failure in life if I didn’t become famous someday. Now I realize of course that was a silly way to think, & I actually cringe at the thought of being a celebrity. But I still want to make a difference in the world, even if it’s just the small sphere that I inhabit for whatever time I’m allotted on this Earth. INFJ’s are also talented writers which I like to think I am. At the very least I certainly enjoy writing which is one of the majors reasons I started this blog! Lastly, I do think I connect & empathize easily with others, which probably explains why I scored so high on the F (feeling) part of the test. I like to think this is part of what makes me a good nurse, both for my patients & their families as well as for my coworkers. I hope I don’t sound arrogant or self-centered in writing this post. 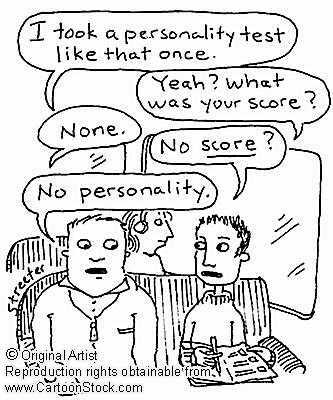 As I explained earlier, this test has really helped me to understand myself. I’ve always felt like I’m a little strange or “off” which probably is true considering this personality type is considered to be quite rare. I have also struggled throughout my life with being very detail-oriented, focused, & perfectionistic which has its benefits but can also be very tiring. There have been so many times in my life when I’ve thought I would give almost anything to just be a more relaxed, “happy-go-lucky” person. However, reading something like this that focuses on the positive aspects of my personality really encourages me. When I read this I thought “There really ARE other people out there like me!” And if you look at the bottom of the web-page it lists famous people who are thought to be INFJ’s. I was quite gratified to see several of my heroes in life listed: Mother Teresa, Martin Luther King, Jr, & Nelson Mandela. Not bad company if I do say so myself! I am sharing all of this because I truly believe this test can be beneficial in helping us to understand ourselves as well as others we interact with, whether it be at home or work or elsewhere. I seriously think this might be a good test for couples to take prior to getting married or moving in together. Not because I think there are certain personality types that are necessarily compatible or not compatible (though perhaps there are; some research on that would be fascinating), but because I believe it could be very beneficial in helping couples to understand each other better. (Definitely going to try to convince my husband to take this test. I am very curious to see his result.) One of my strong opinions about life is that self analysis is extremely important because the more self-aware you are, the more empathetic you can be to others. And more empathy in humanity can only lead to a better world for all of us. I’d love to know your results so feel free to post them as a comment along with whether you feel the result is accurate or not.